PV does work in the Middle East. 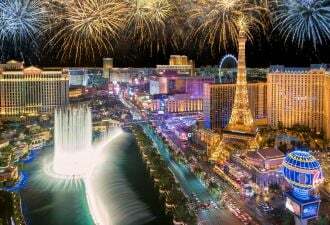 And it will keep unemployment down, as they need lots of laborers to brush the dust off the panels every two weeks. While attending the World Future Energy Summit, we received a tour of Masdar City given by Martyn Potter, the Director of Operations and Facilities. And there is some good news to report. The mini-university is operational. Yes, it is only small campus consisting of six buildings (67,000 square meters), but construction is underway for another 90,000 square meters of facilities. The buildings constitute the Masdar Institute -- a university with labs, teaching space, and apartments for the students. There are currently 167 students enrolled in the Masdar Institute. Phase 2 of Masdar City is expected to be completed in 2Q 2012, and should include commercial space. The Masdar headquarters is scheduled for completion by 2013. Of more interest to those in the solar industry, we also received a tour of the various solar projects that Masdar has initiated. 1) The 100 MW Shams 1 CSP Project, see this Greentech Media article. 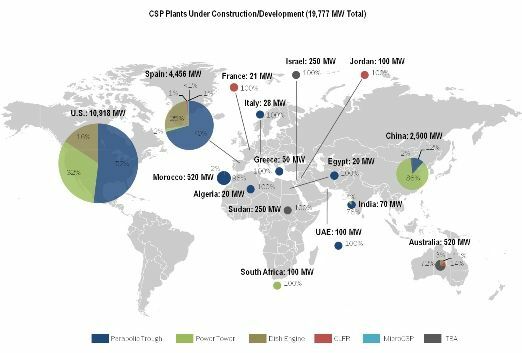 The map below, from the recently released GTM Research CSP 2011 report, shows that the UAE has 100 MW of trough under construction (that would be Shams 1). I was able to see a presentation by Sami Khoreibi, the CEO of Enviromena -- the EPC firm that installed and maintains the system. 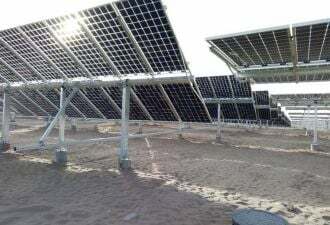 The system is completed and fully operational, and is the largest grid-connected solar system in the MENA region. It produces 17,500 MWh per yr, which equates to a 20% capacity factor. Tender: March 2008, and connected in April 2009, a mere 13 months later. i) 5 MW of Suntech crystalline silicon modules. These have a smaller footprint, with the benefit of fewer square meters per watt to clean. ii) 5 MW of First Solar CdTe modules. These modules perform better in high heat (as would amorphous silicon thin-film modules). Enviromena cited 2,200 kwh per square meter, which is twice as much output as Germany (although it was unclear whether this is for the CdTe panels, the c-Si panels, or all of them combined). He mentioned that the PV production fits the demand curve in the Middle East very well. He also discussed the concept that solar is economic in the Middle East when compared with the alternative -- which is peaking plants powered by oil that only run a small fraction of the time. For example, he cited Saudi Arabia, which burns oil to meet peak demand at a cost of about $0.30/kWh. About 1 MW of modules will be mounted on top of the Masdar Institute, and another 2 MW will be mounted on the Masdar HQ buildings over the next 3 years. 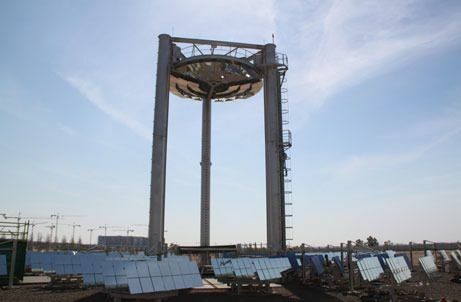 This site is run by the students at the Masdar Institute, and the 20-meter tower is capable of using different receivers (high efficiency PV cells or a solar thermal cavity receiver for generator steam). 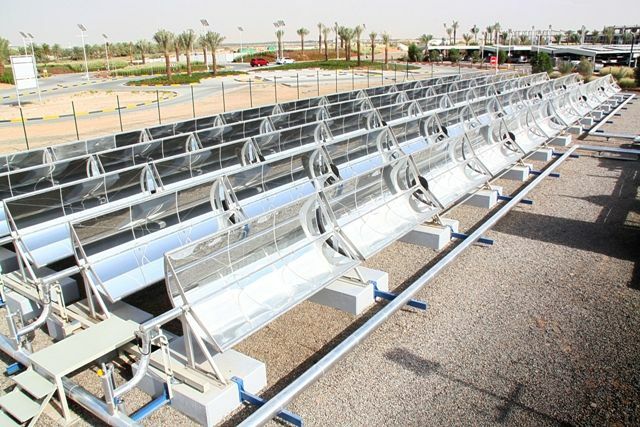 The guide mentioned that concentrating solutions are challenged in the Middle East, as much of the sunlight is diffuse, not direct, and therefore is not usable by concentrating solutions. Simon Breuninger gave us a short tour of the facility. This is a proof of concept to see if solar can directly provide air conditioning more cost effectively than having solar PV generate electricity, and then using that electricity to power AC units. At this site, there are a set of microCSP trough collectors from Hawaii-based Sopogy, and a CLFR system from Mirroxx. Pictured below is the Sopogy system. I also had a conversation with Frank Woulter, the head of Masdar Power. I asked if PV is a better fit than CSP, due to the inability of concentrating solar to capture diffuse light. The basic answer was that they are interested in both PV and CSP, as the grid in the area can only handle a maximum of 20% from PV, whereas it could handle up to 40% from CSP (with storage integrated). I asked what Masdar brings to the Torresol JV with Sener (Masdar owns 40%). The short answer was financial strength. Having Masdar involved makes it easier to raise project debt. And Masdar has the funds to provide the equity for Torresol projects (such as Gemasolar). I also asked about the recent news that Masdar would not be manufacturing PV modules in the UAE, due to insufficient regional demand. He responded that they are looking for opportunities. They currently have a manufacturing investment in Germany, and they would consider other sites, but stated that the business case has to be there. 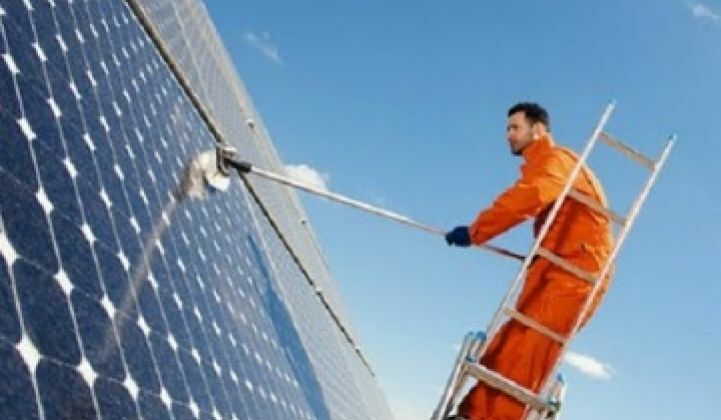 Perhaps that is a hint that governments in the MENA region should consider domestic content requirements if there are hoping to create manufacturing jobs in the solar industry. Perhaps. Overall, I was impressed with the projects that Masdar has initiated. In addition to the benefits they bring to Abu Dhabi, they may serve as a catalyst to help solar grow in the region.